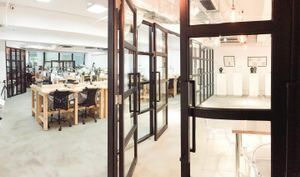 This 2150 square foot space is extremely well-located in Sheung Wan, a prime destination for creative and edgy brands. 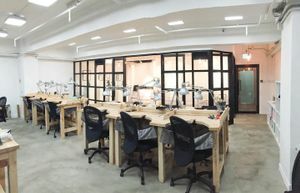 This pop-up space is located within a jewelry workshop. Despite not having windows, this space is well-lit and well-ventilated. The monochrome design with white walls and concrete floors create a nice clean finish, ideal for a product/brand launch or showroom.